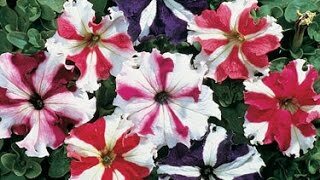 Shock Wave petunia is outrageously and delightfully floriferous. Rolling out a pure white carpet of blooms, Shock Wave Coconut is self-cleaning and stays white even after a drenching storm. With low-growing habit, it's perfect as ground cover or blended with other colors in mixed containers. Petunia, Shock Wave™ Coconut is rated 3.3 out of 5 by 3. Rated 1 out of 5 by GW59 from Not good results Not one seed ever came up. Planted indoors and used a heating mat. Rated 5 out of 5 by CaitlinsCrops from Perfect Petunia! I interplanted this white petunia with my peppers in the spring. By midsummer I didn't even have to weed anymore! The wave petunias had taken over the ground so gracefully. 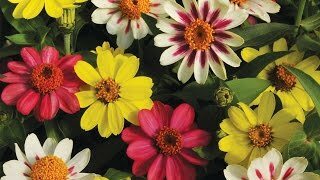 I deadhead daily to keep the blooms coming, my plants look exactly like the picture, covered densely in flowers. The deadheading is a big task, but it's less 'dirty' and higher from the ground than traditional weeds. I couldn't be happier, will definitely buy again next year!